Swedish yacht makers, Hallberg-Rassy, are very well known in blue water cruising circles as high quality and sturdy boats. Yachts built by Hallberg-Rassy have excellent sea keeping qualities and have a good reputation for this making them very popular for offshore cruising. 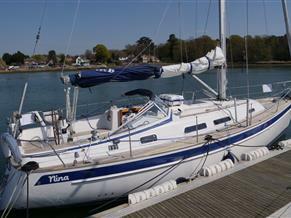 We have a good selection of Hallberg-Rassy yachts for sale listed here. Take a look at the many we have available including the Monstrum, Mistral and Rasmus range.